Premier of Nevis and Minister of Tourism the Honourable Joseph Parry. 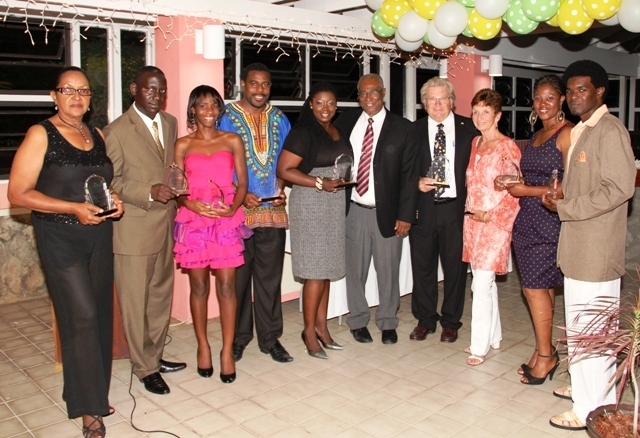 NIA-CHARLESTOWN, NEVIS (April 21ST, 2011) — In an act of kindness and to demonstrate his appreciation to the Nevis Tourism Authority [NTA], Nevis’ Premier and Minister of Tourism the Honourable Joseph Parry hosted staff and board members of the NTA to an awards cocktail. The event, held on Apr. 12 at the Mount Nevis Hotel, was in commemoration of the NTA’s tenth anniversary and as such, was fused with musical entertainment by Ms. Ryanna Wong, Babatunji and Mr. Darron Sutton. Mr. Parry, who remained content that “we have a great product on the island of Nevis,” applauded the NTA for its innovative marketing efforts while especially commending the establishment’s first Chief Executive Officer [CEO] Ms. Helen Kidd. “Ms. Kidd did a great job and let me hasten to say I’ve known her for many many years, long before she became head of the NTA and we have been friends all this time and she has been able to use her considerable contacts to promote, market and develop tourism on the island of Nevis and we want you to give her a round of applause for her efforts,” Mr. Parry said. “There were members on the board like Richard Lupinacci, the Yearwoods, people from Golden Rock and the other hotels and they naturally would have preserved what they had because that was the means of their livelihood and so it continued,” Mr. Parry explained. Among other topics, Nevis’ promotion of niche, land-based and sports tourism received much attention. (l-r) Member of the Nevis Tourism Authority’s Board of Directors Ms. Jeanette Grell-Hull, Chief Executive Officer of the Nevis Tourism Authority Mr. John Hanley, Marketing and Public Relations Coordinator Ms. T-Shanda Hobson, Director of Sales and Marketing Mr. Devon Liburd, Marketing Manager responsible for the Caribbean Ms. Angelique France, Premier of Nevis the Honourable Joseph Parry, Chairman of the Nevis Tourism Authority’s Board of Directors Mr. Richard Lupinacci, representative for Ms. Helen Kidd Mrs. Muffin Hoffman, Marketing Manager responsible for the United Kingdom/Airline Liaison Ms. Julie Claxton and Financial Assistant Mr. Jahreese Jones. “I have always been a proponent of land-based tourism and I continue to be that. I’ve always supported niche tourism and I’ve always promoted it as the best thing for the island in terms of money, in terms of the environment and in terms of success and I continue to do so,” Mr. Parry said. “In fact, I would say that it was a historical accident. This was done by a number of small government operators and eventually the government and others caught on that we had a great product here and this was the way to go. 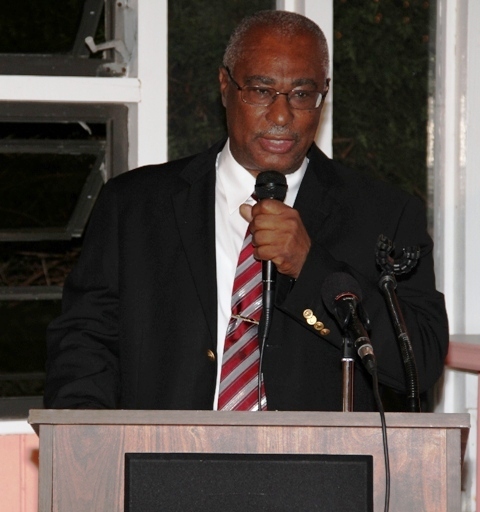 The NTA recognised this and continued the tradition of promoting niche tourism on the island of Nevis,” he explained. Premier Parry’s colleague ministers the Honourable Hensley Daniel and the Honourable E. Robelto Hector, Cabinet Secretary Mr. Ashley Farrell and Permanent Secretary in the Ministry of Tourism Mr. Tyrone O’Flaherty also attended the awards cocktail.